Home Shop by Category Shaving Creams Musgo Real Shaving Cream Orange Amber 100gr. 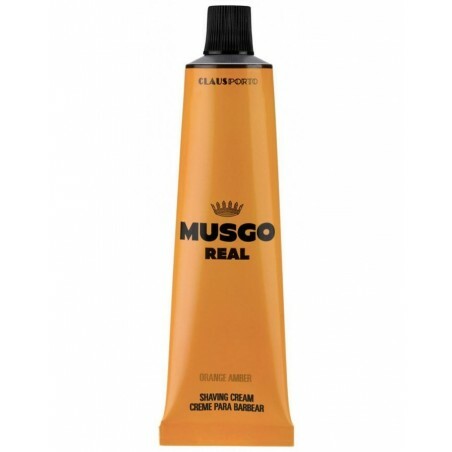 Musgo Real Shaving Cream Orange Amber 100gr. Created in 1920, “Musgo Real” line is more modern than ever. Combining the manual production over almost 100 years with the demand of modern lines this line reveals a complete set of products adequate to the most diverse care of male universe. Manly, elegant and distinct, the Musgo Real line stands for the quality of its products. 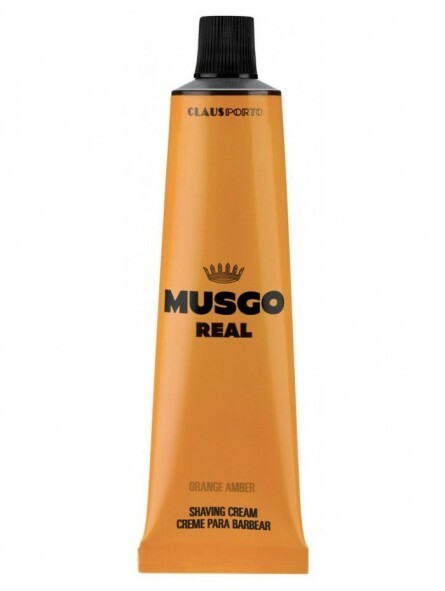 Musgo Real Shaving Cream Orange Amber 100gr. The shaving cream enriched with lanolin and glycerine, smoothes the bear, enabling an easier, long-lasting and more pleasant shaving. Orange Amber - It is fruity and citric. It combines the fruity aroma of mandarin orange with light, fresh and relaxing notes of bergamot oil. The warm and mysterious accents of amber emphasize a classical and elegant spirit.